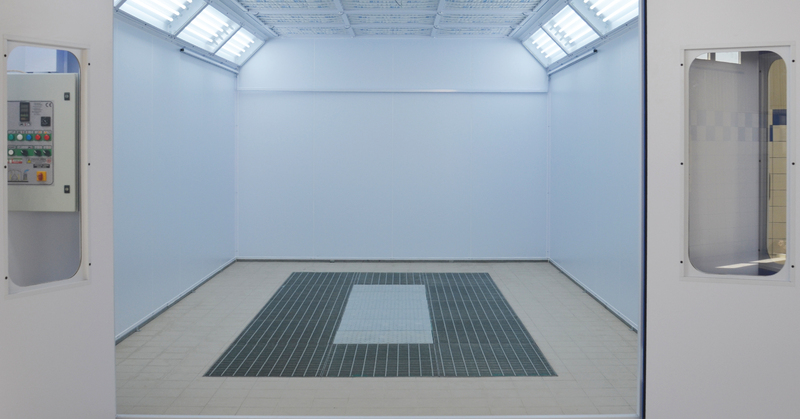 The spray painting booth model “Alpha booth”, in its simplicity, offers high quality standards that meet the needs of bodyshops who aim to build on the painting market. The generator and extractor units provide a high quality / price ratio. The generator is equipped with a continuous outdoor air circuit, filtered through a double layer synthetic fiber filter. Customizable in versions with and without metal base.